I've also made a few attempts to get MMIO logs but without success so far. 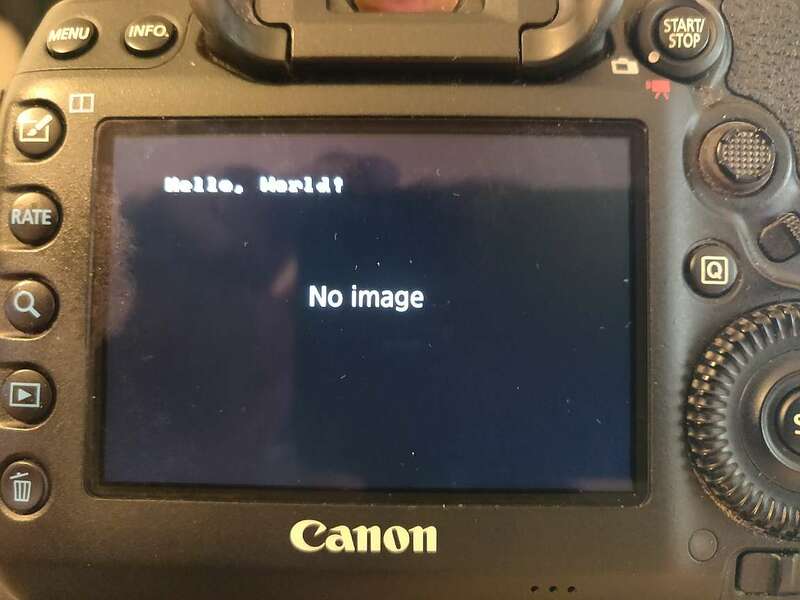 I can generate MMIO logs in QEMU but I've had no luck with the real camera even after trying a few different memory areas for the MMIO log buffers - the camera always just hangs, reboots, or gives an Err 80 after a few seconds. I've still got other ideas to investigate/test to try and get this working, but any tips appreciated. Will the 29:59 minute record limit disappear or am I stucked with this limitation on my 5D Mrk IV? Nice day it is. First Digic 7, now Digic 6+. Not bad, not bad at all! This is excellent. I’ll be with you guys on this project sooner rather than later. Hoping to scoop up a body by April 1st. I read somewhere that a firmware update would allow the 5d mkIV to shoot 72 to 75 fps @1080p. do you think it could be possible with magic lantern, down the line? All of our crystal balls have been confiscated by the Illuminati, sorry! My question was more if the camera could be capable of such frame rates.. I m not very familiar with magic lantern.. has magic lantern been able to push the frame rates in other models? Well done! Thanks for your hard work! is discovered on 1 doesn't necessarily pertain to the other ? Ooops, I Goofed. For some reason I was thinking that the 80D has Digic 6+ . Hey guys! This seems to be moving along pretty nicely lately from what I've read. I assume there is no definitive answer, but is there a ballpark for when this will be released or atleast in a working test phase? A couple of months? 6 months? I will gladly join in when testers are needed. Thanks! Any progress? Robotron did you find time to look into it as well? Chris, any progress with the MMIO logs? So far I see nothing newer than 24th of April. Did you had any spare time.